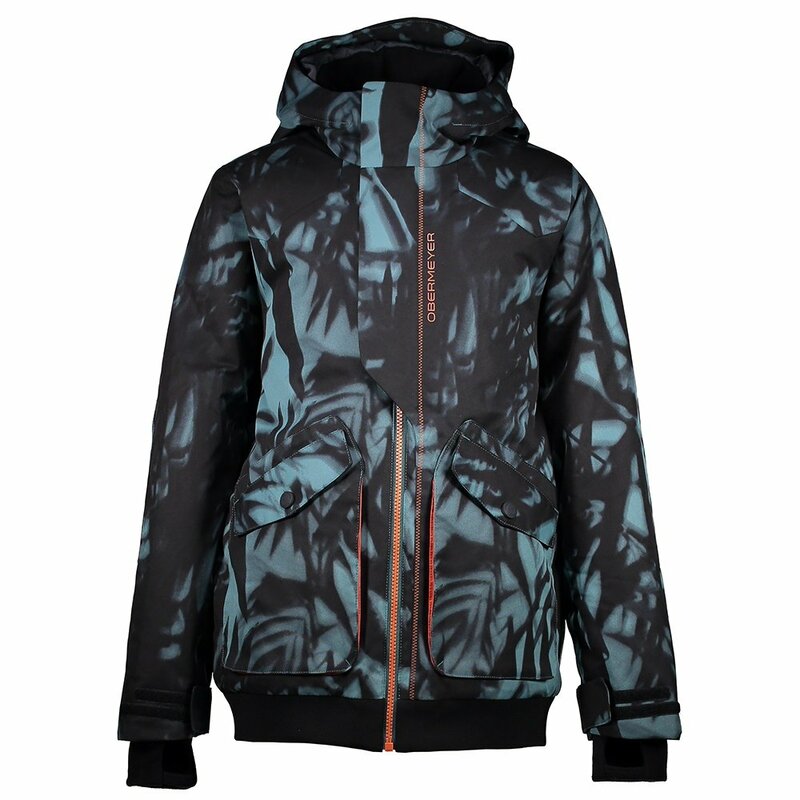 The Obermeyer Gage Insulated Ski Jacket is designed to keep him warm and the elements out. To start, it has different insulation levels throughout the jacket including 160g on the body, 80g on the sleeves, and 60g in the hood, which keeps warmth exactly where he needs it so he can stay on the mountain longer. The Control Zone Ventilation system makes for easy cool down if things get too hot, and a water-resistant powder skirt and Skier Critical™ seam sealing keeps the cold out – even if he takes a tumble in the snow. The Obermeyer Gage Insulated Ski Jacket is also designed with convenient features like a detachable goggle cloth, tricot-lined handwarmer pockets, and an interior pocket for his phone for added ski slope convenience.